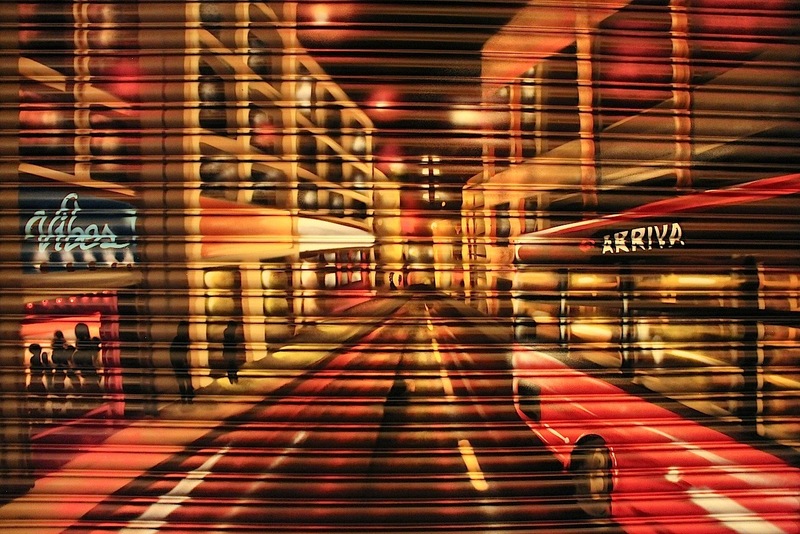 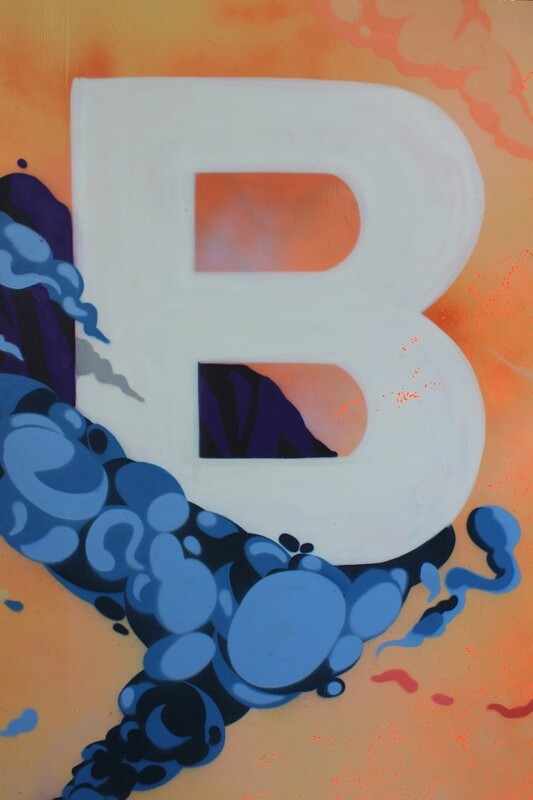 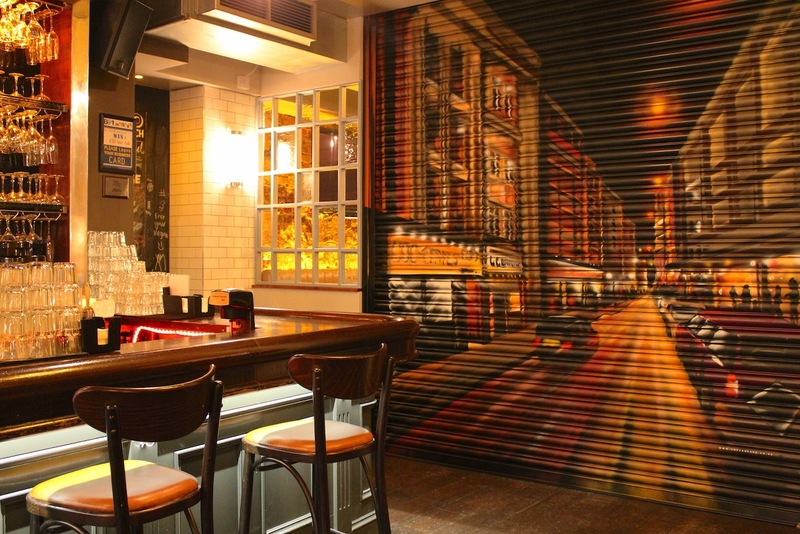 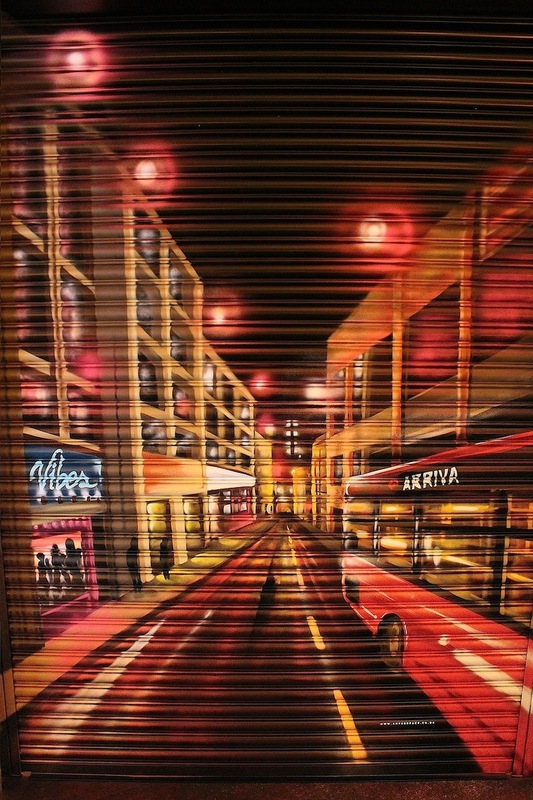 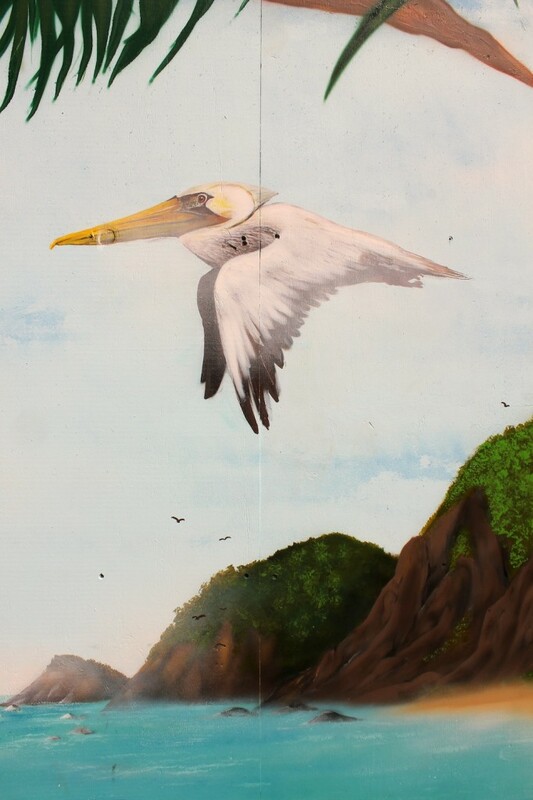 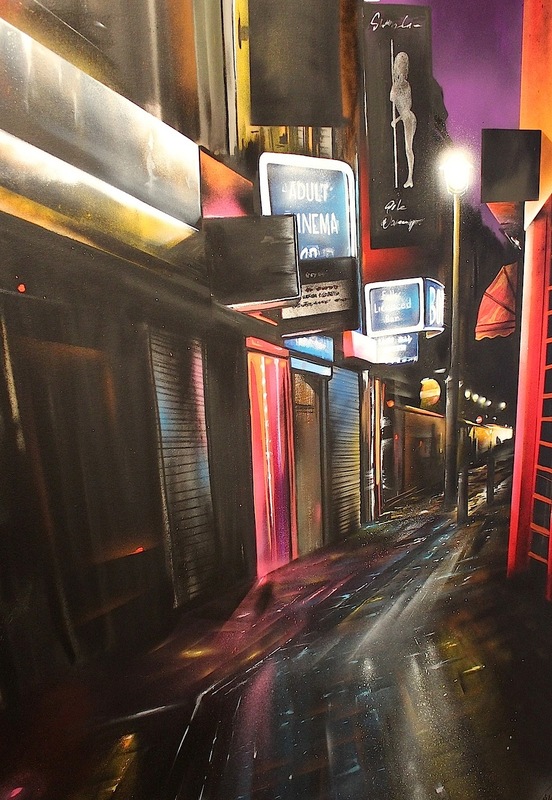 Interior hand painted mural for B@1 Bar in Old Street, London. 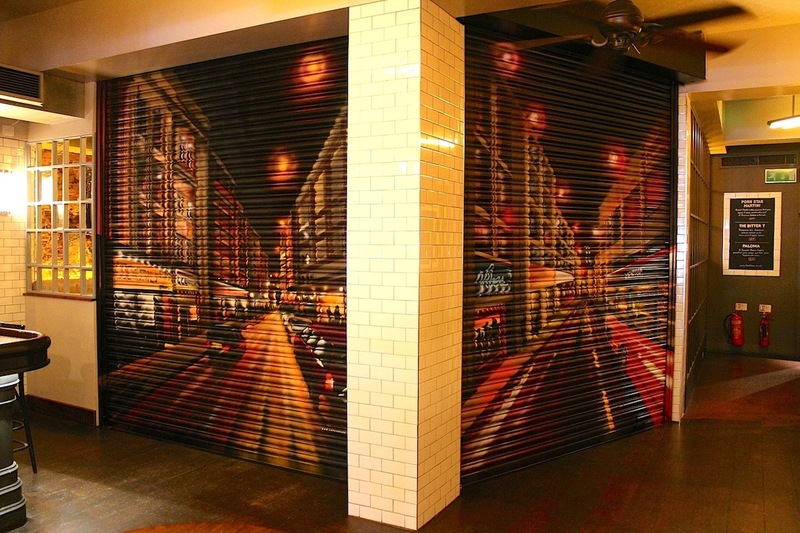 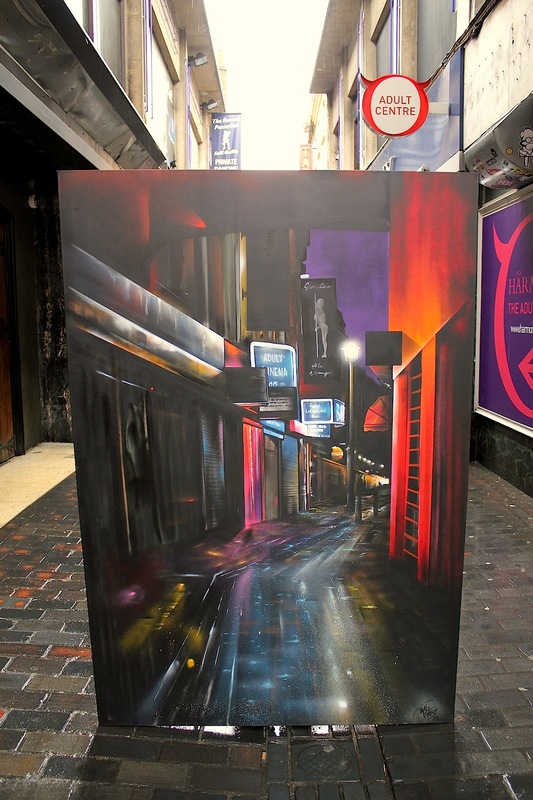 Created over 2 days with the intention to open up the back area of the bar and create the nightlife mood of Old Street. 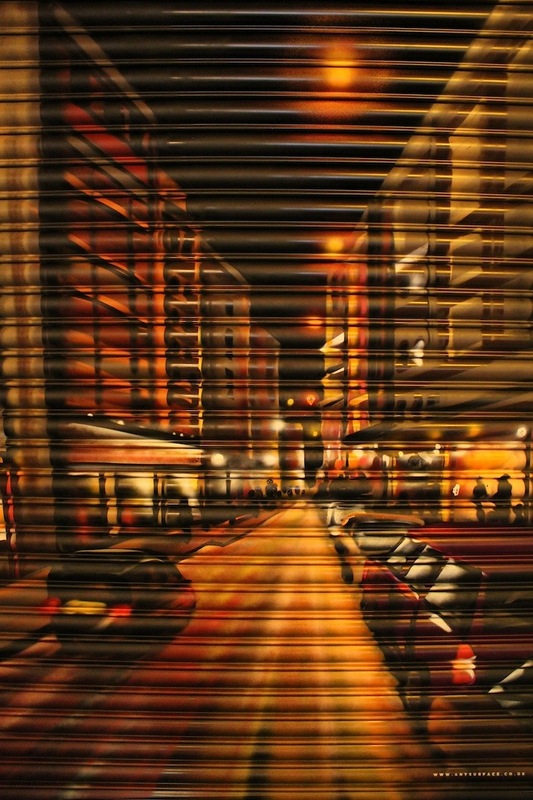 The artwork was based on local street scenes painted with a sepia based colour palette to blend in with the existing furnishings. 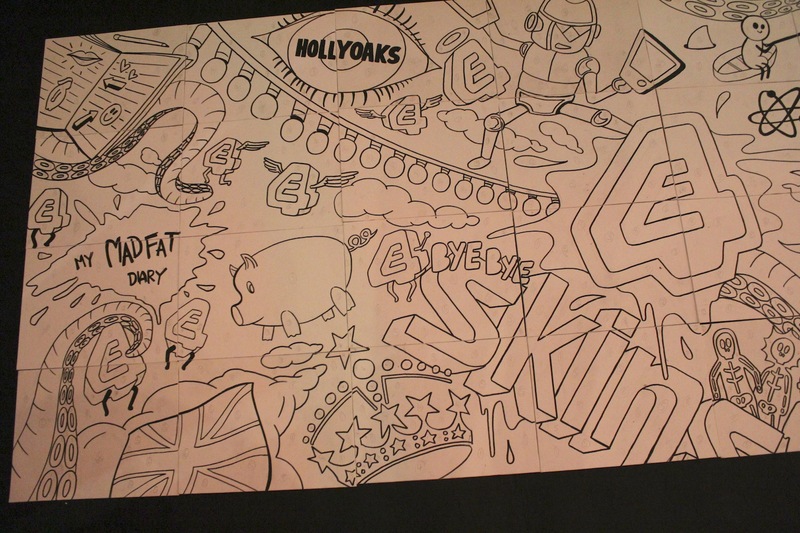 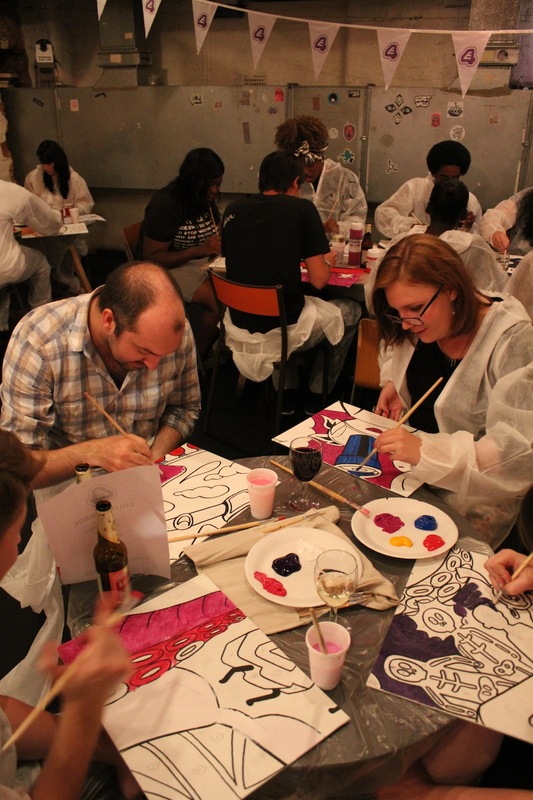 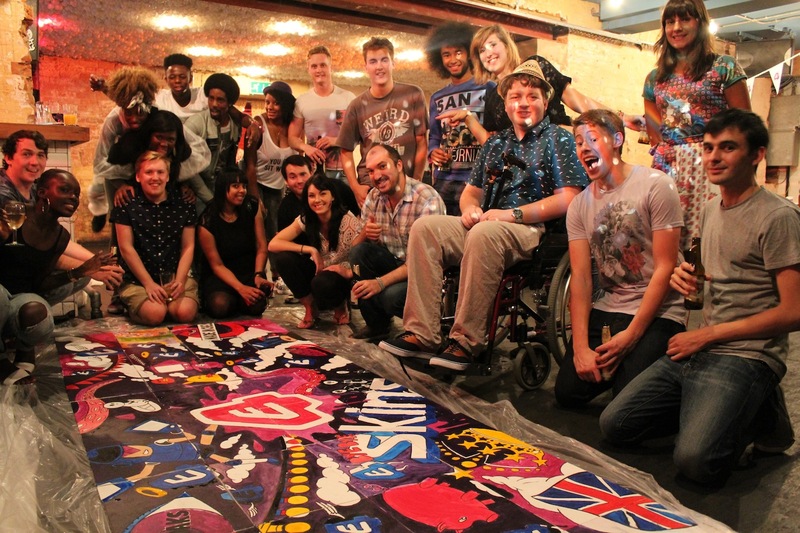 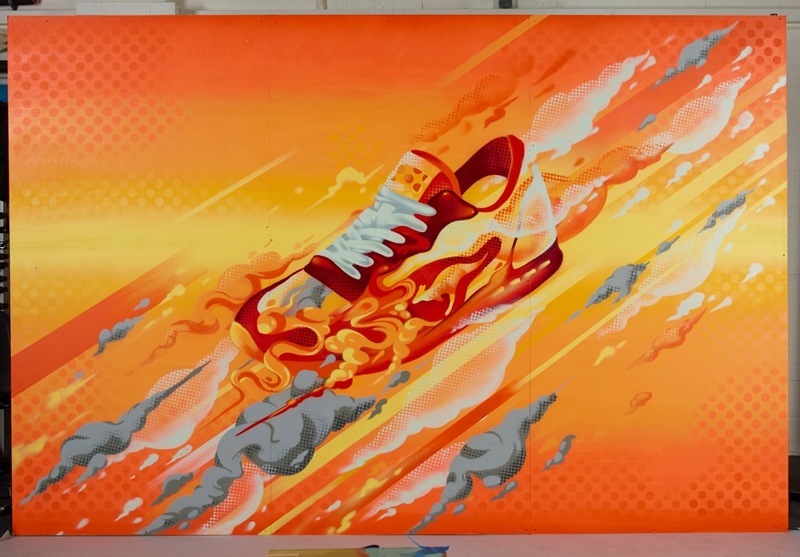 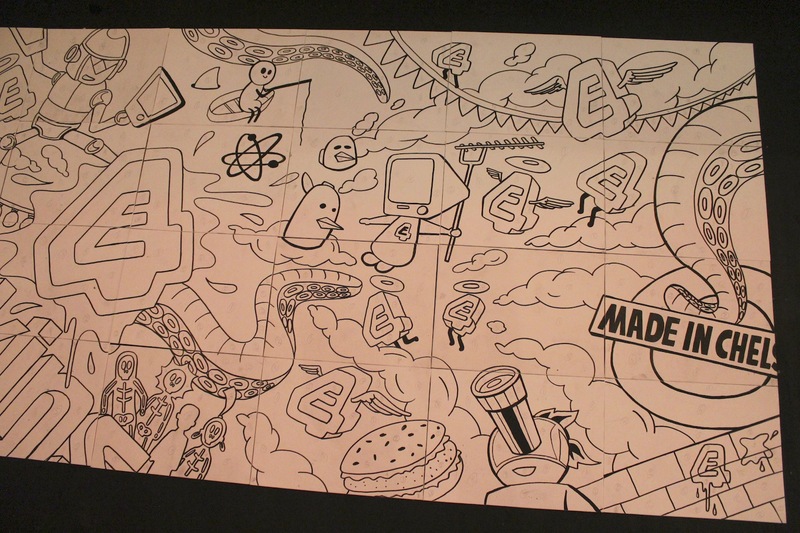 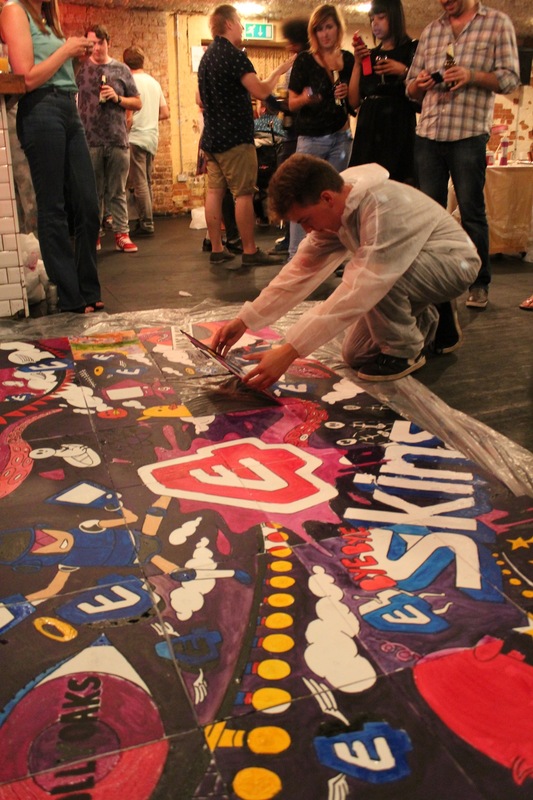 E4 teamed up with Anysurface to produce a paint by numbers fun day involving 32 lucky competition winners to personalise their own E4 themed canvases. 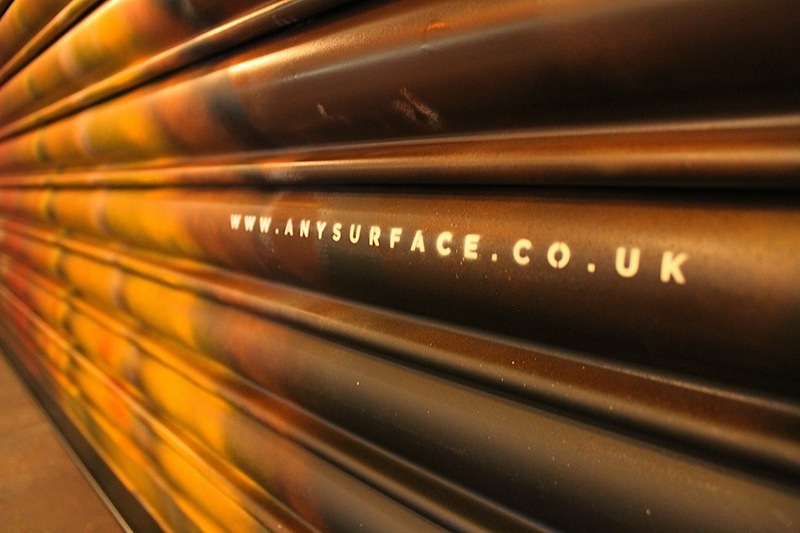 KangaROOS and Rarekind LDN collaborated with Anysurface recently to deliver an international brand campaign. 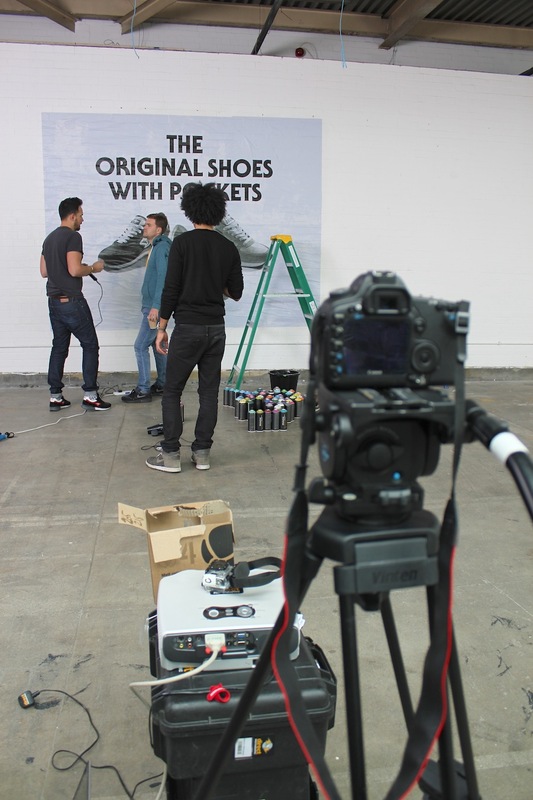 Bringing a new and contemporary look to the original trainer with pockets. 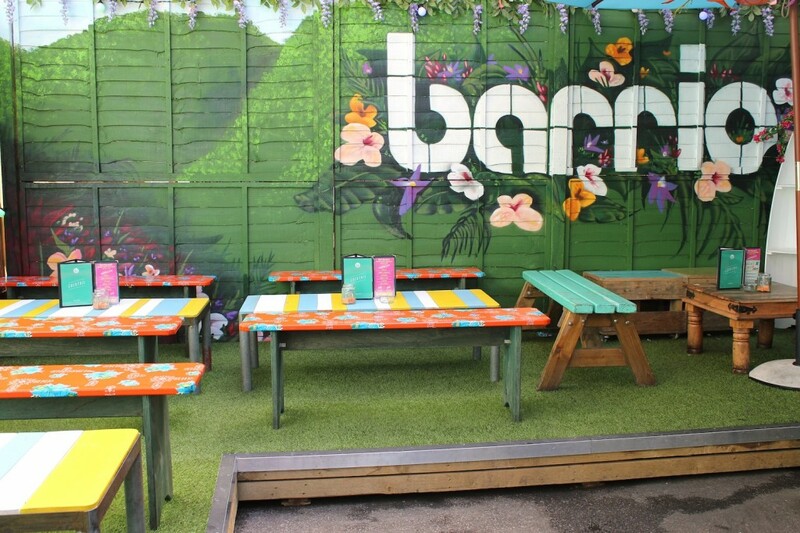 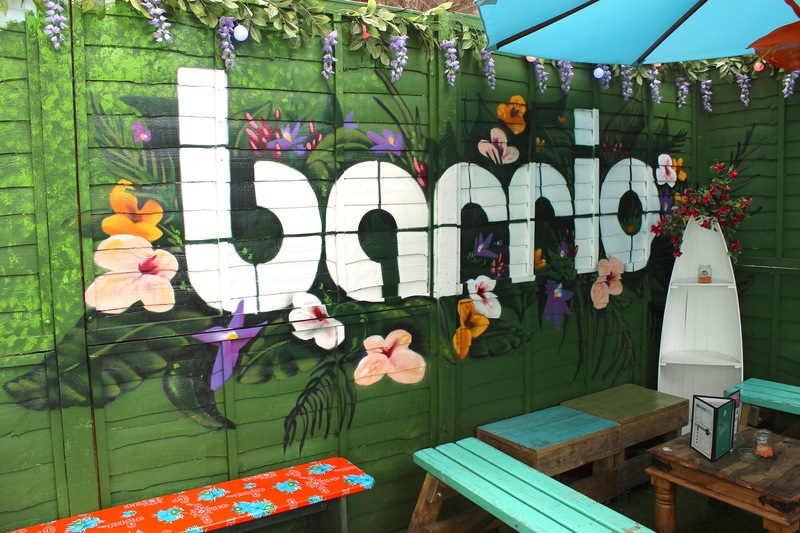 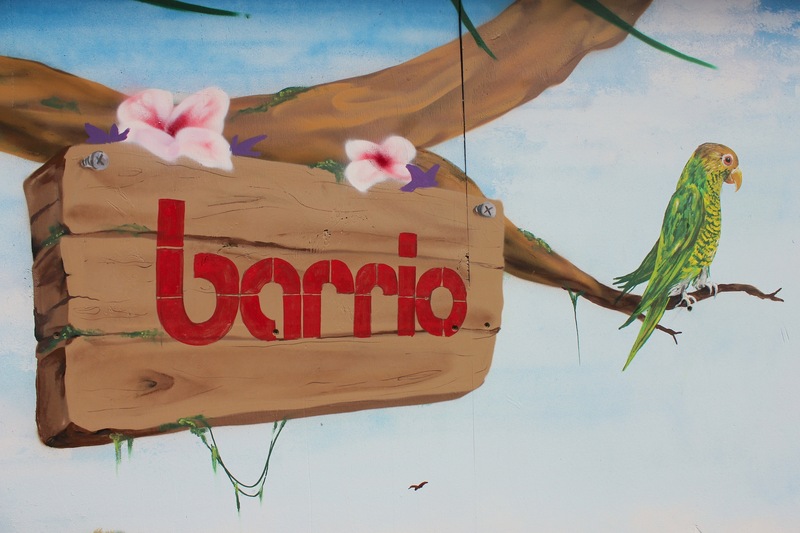 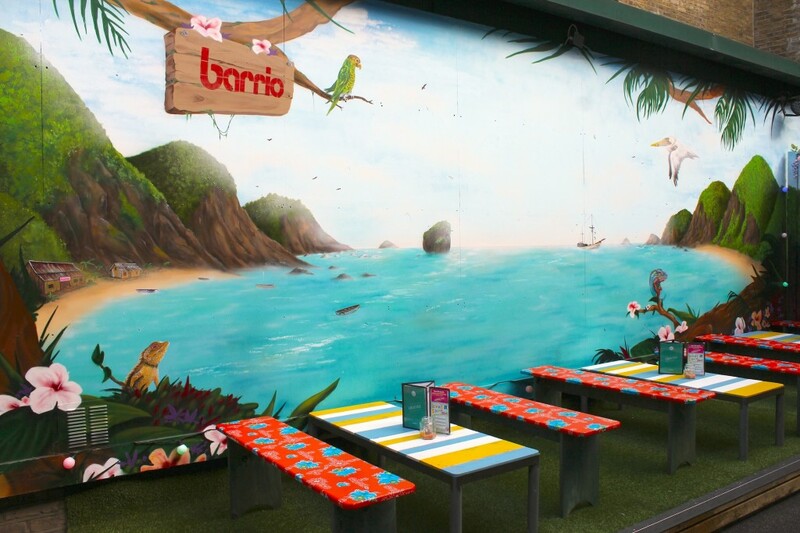 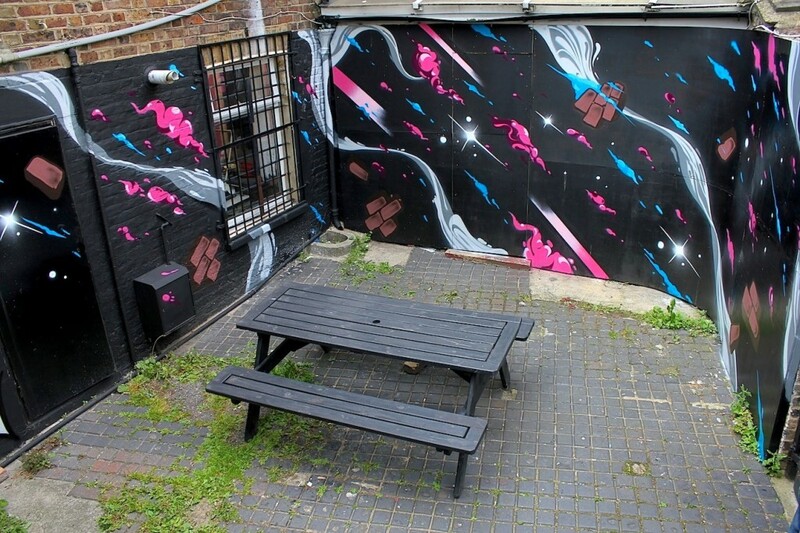 Barrio East in Shoreditch East London requested an Anysurface make over last month for its newly converted garden area. 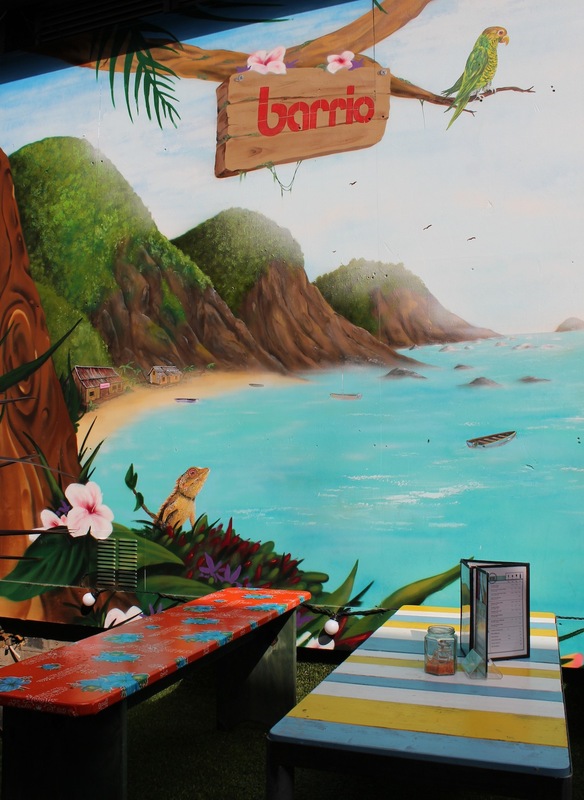 In keeping with the bars mediterranean and very colourful interior theme, artwork was hand painted creating an escape to paradise for guests whilst enjoying their cocktails in the sun. 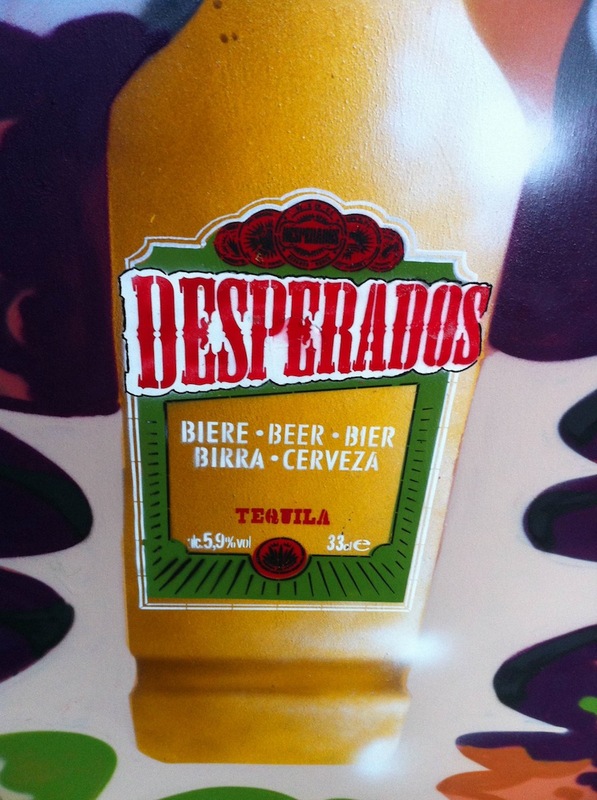 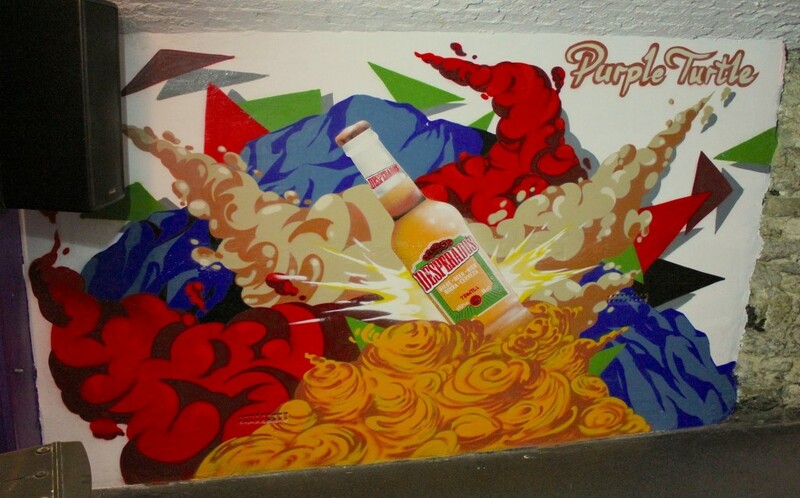 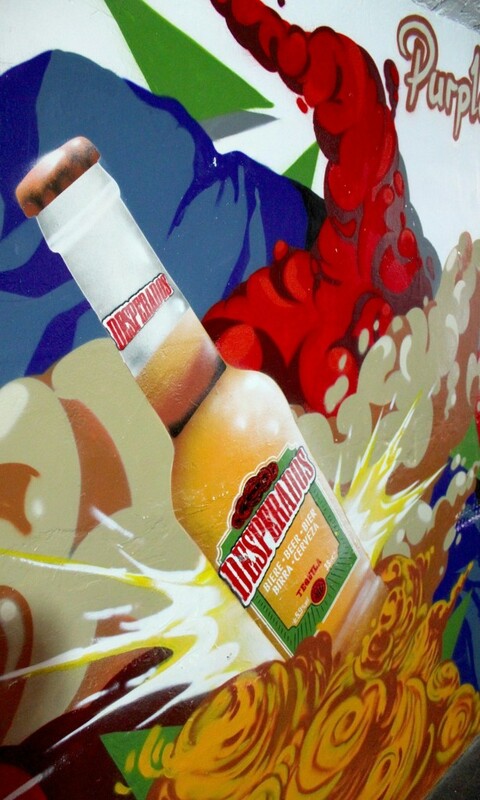 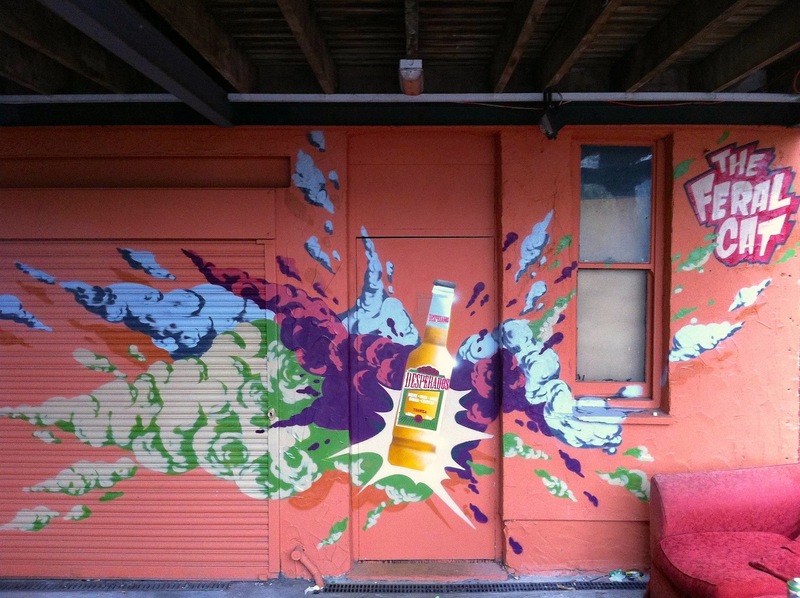 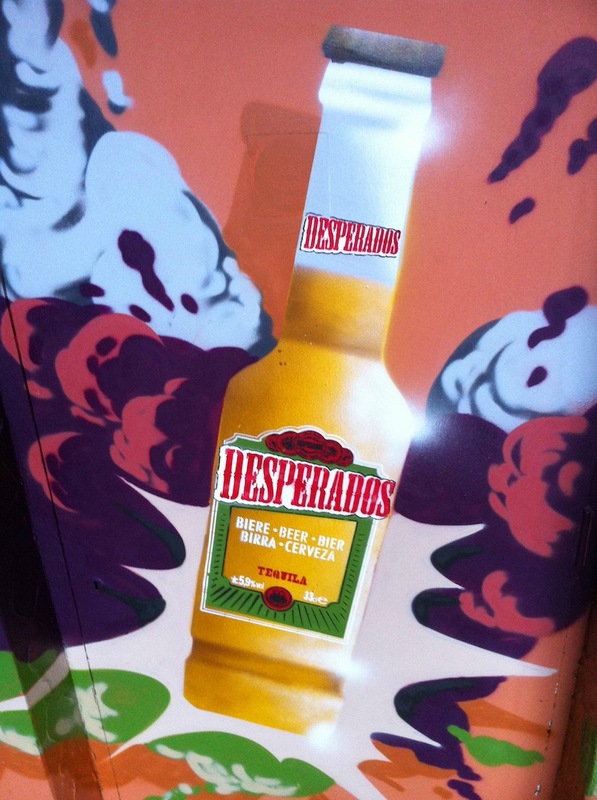 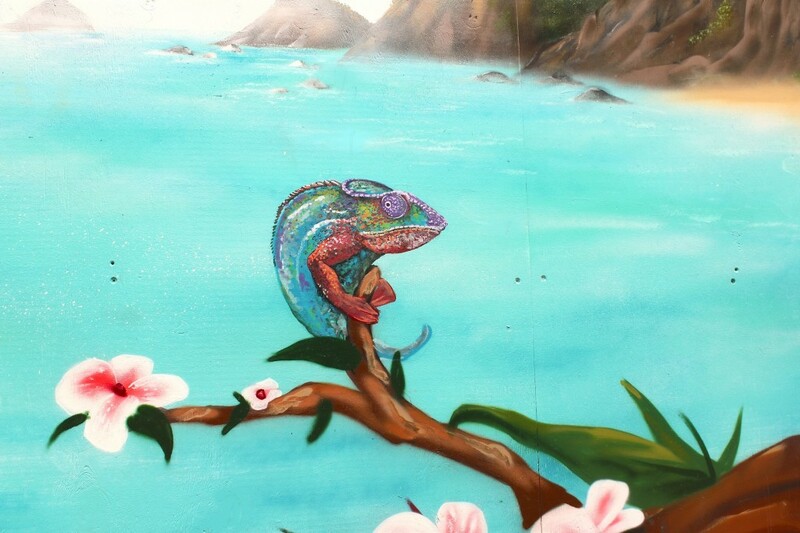 Hand painted promotional murals for Desperados painted across the UK. 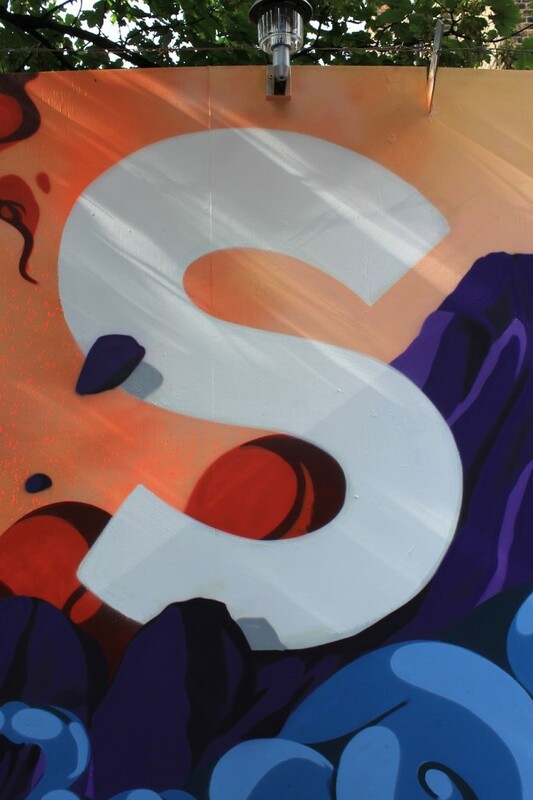 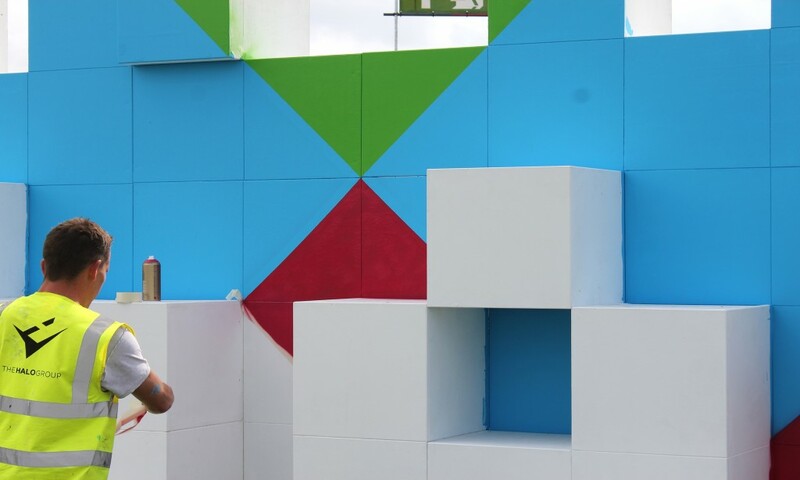 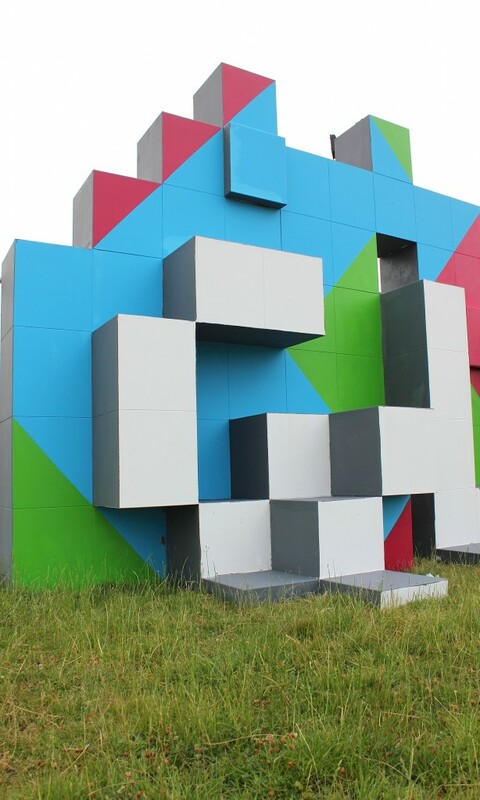 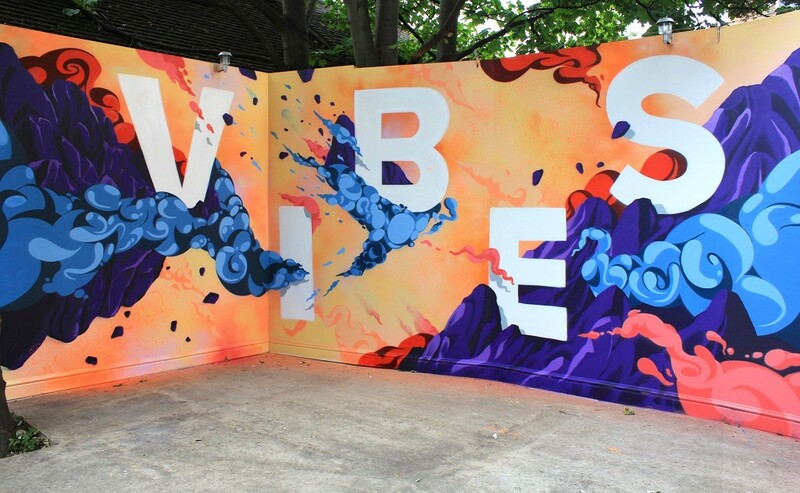 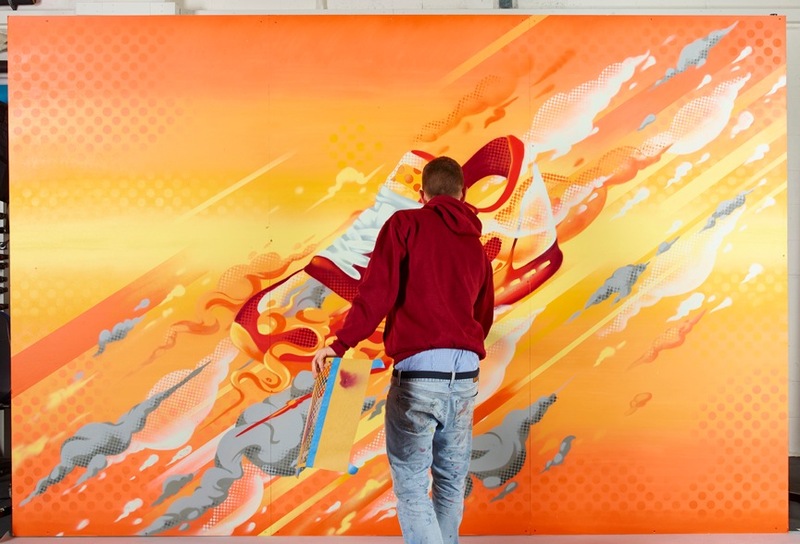 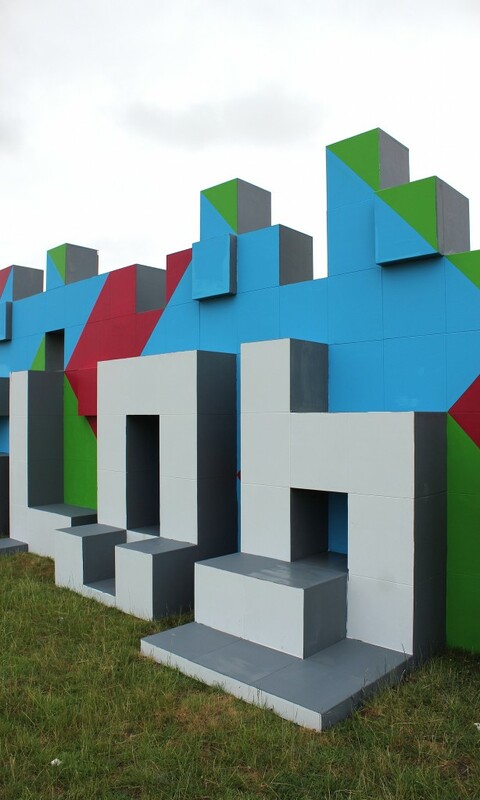 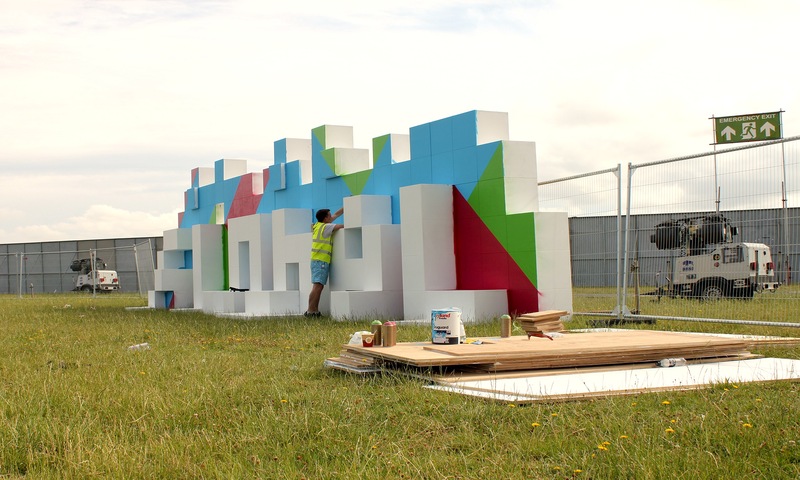 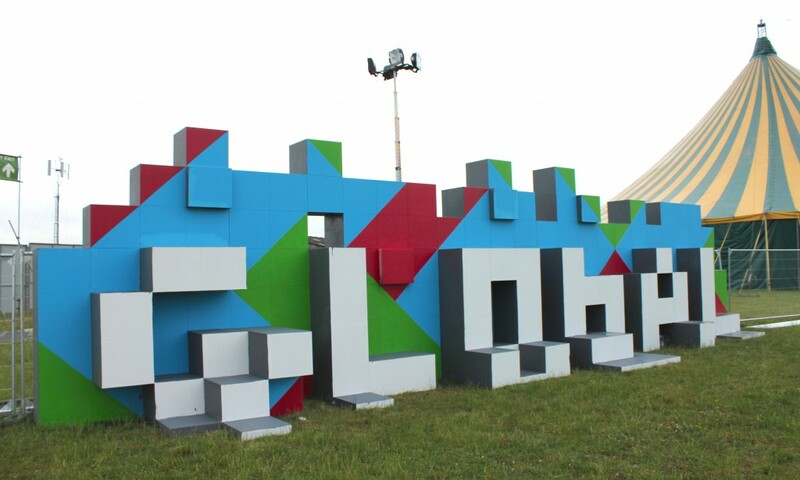 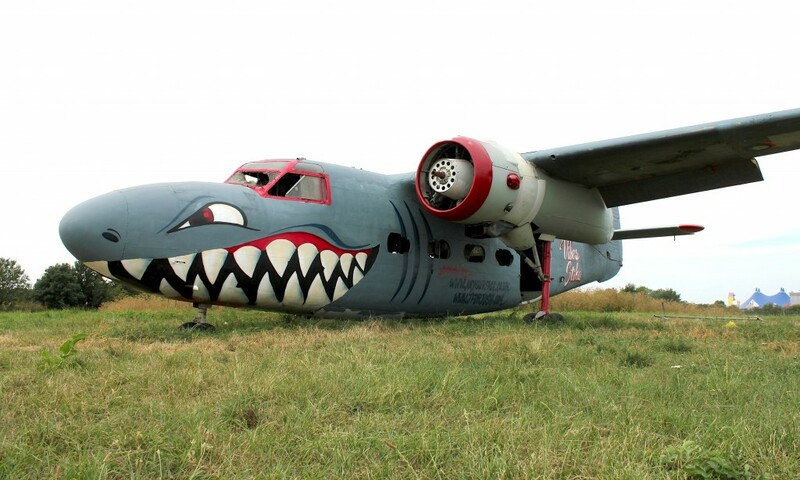 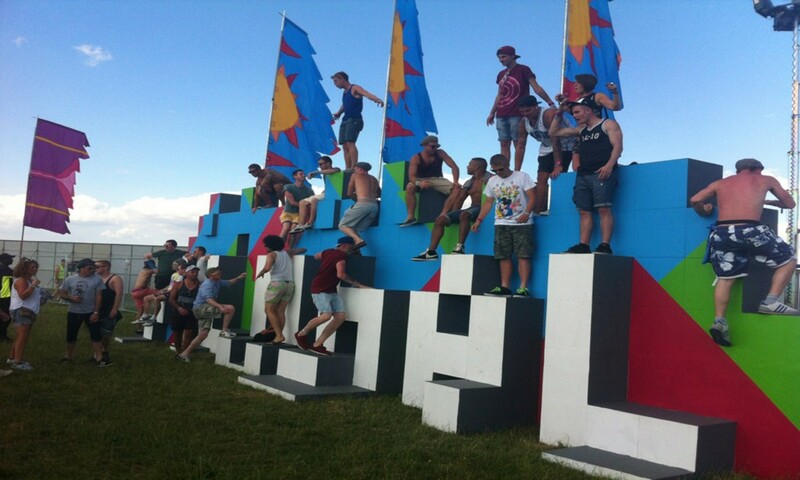 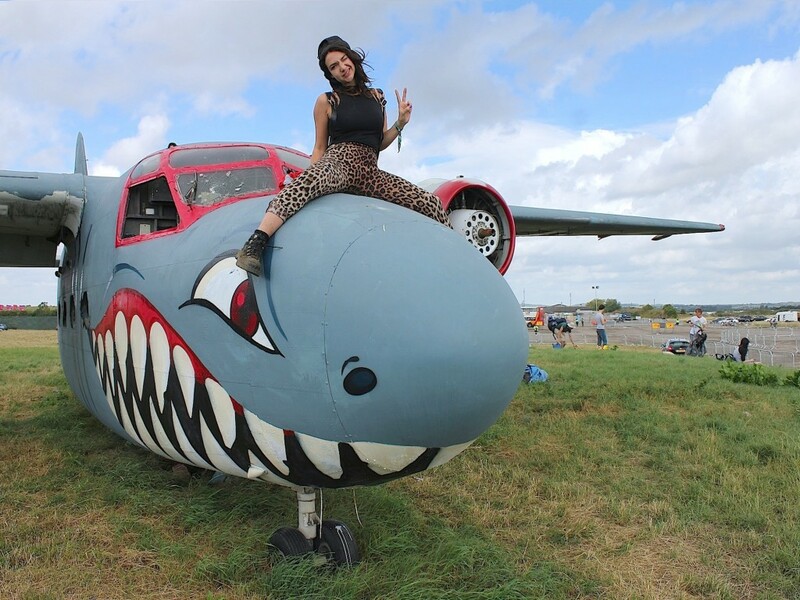 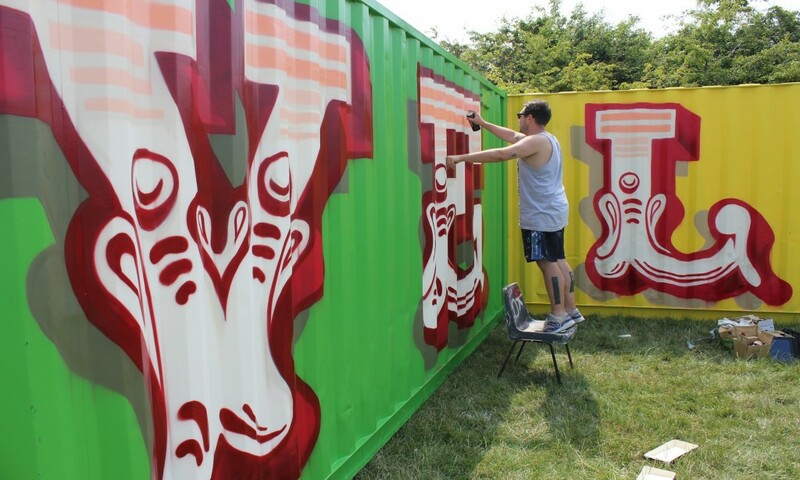 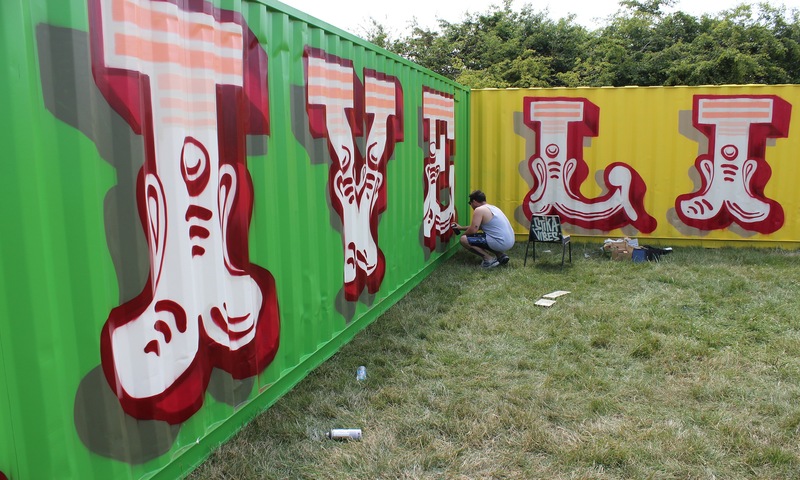 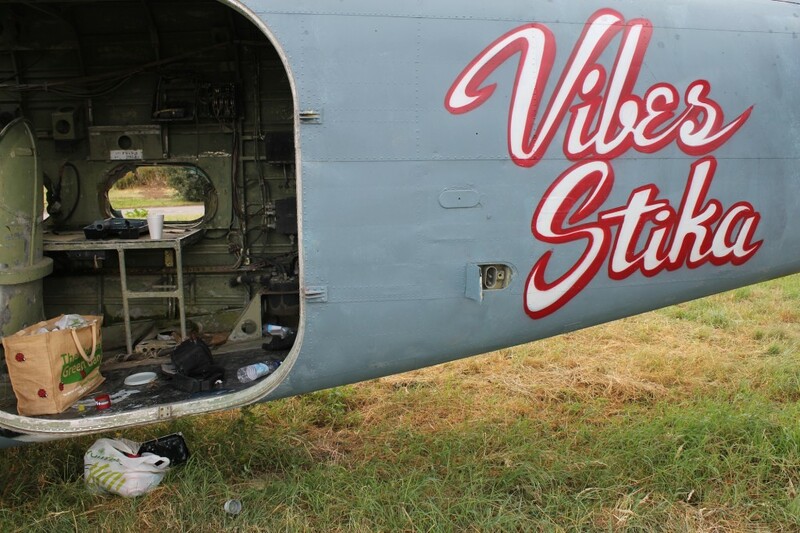 Working alongside Global Gathering 2013, Anysurface designed and produced signage, installations and live artwork for three individual stages and an entire plane at the entrance of the festival site. 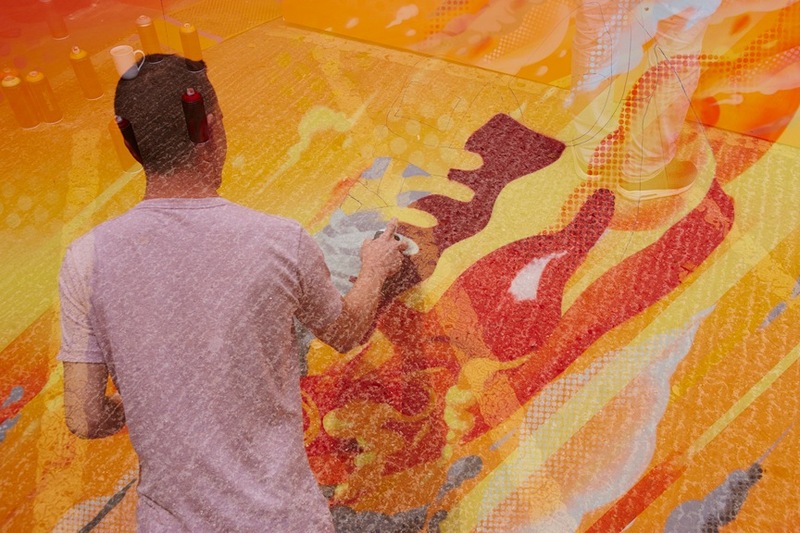 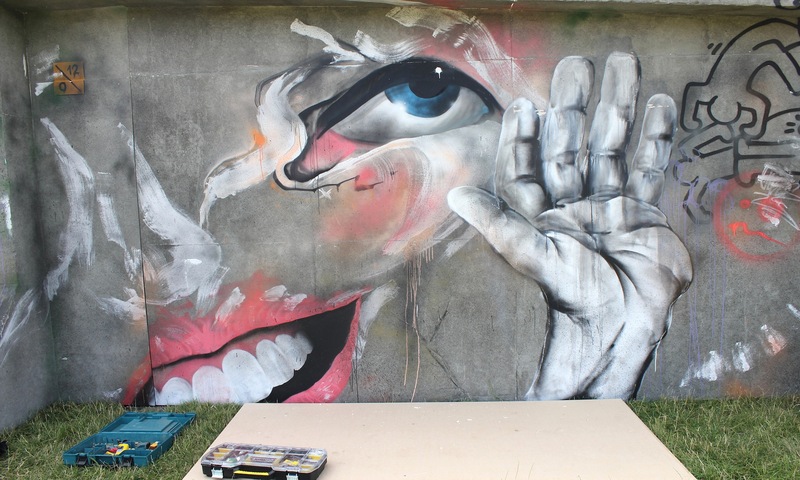 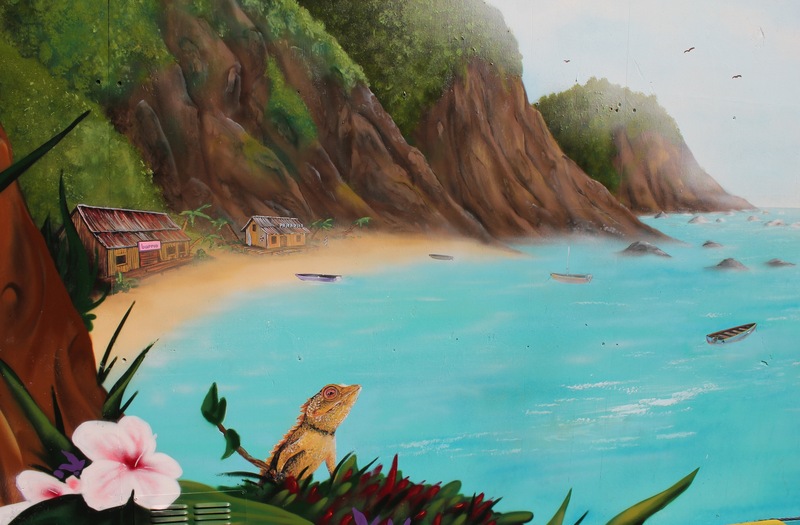 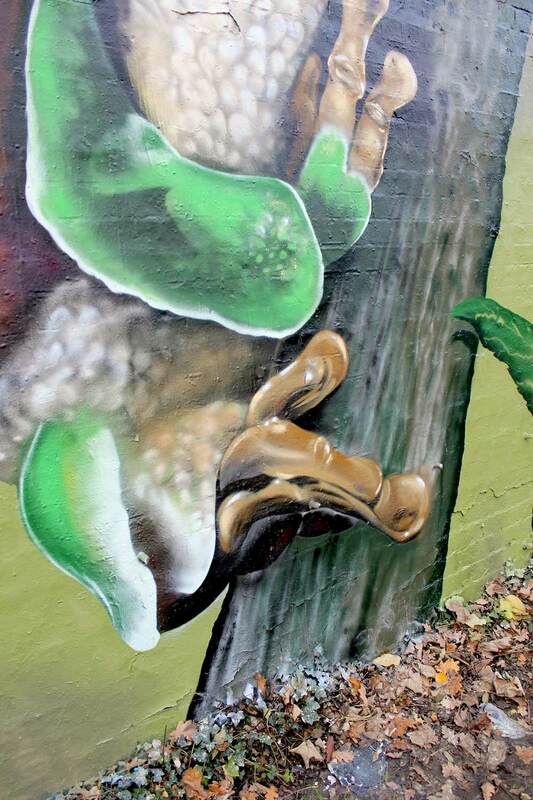 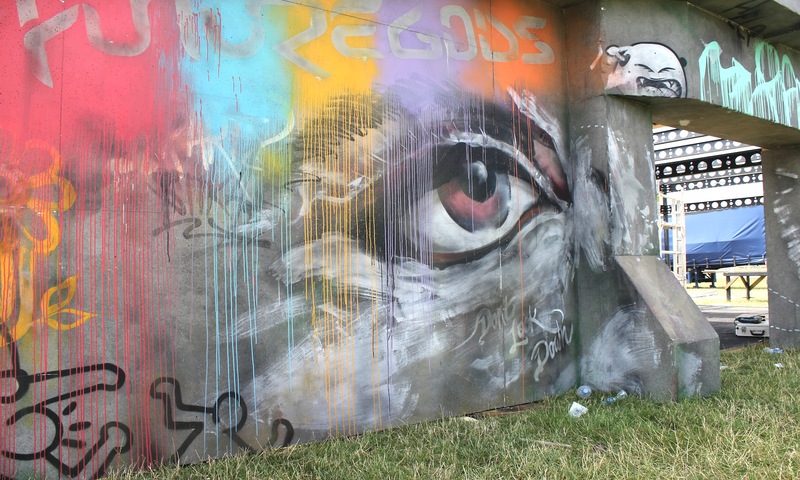 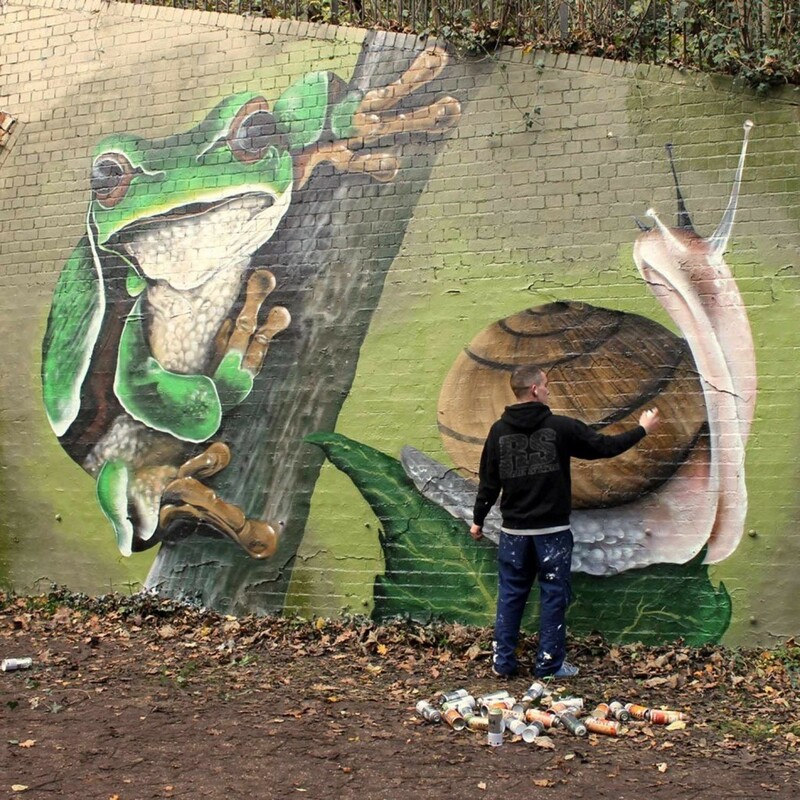 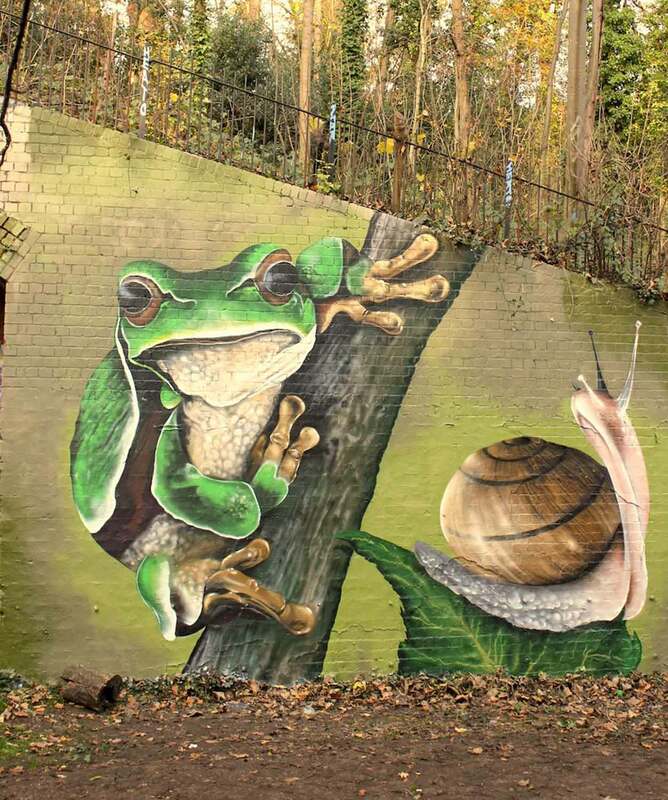 As part of Any Surface, the Bigger Picture Project was established in 2010 with the sole objective to create enlightenment within any urban dwelling through the application of public art murals.